Sony’s new unique console for exciting gaming experience! Provided with the most powerful processor and multiplayer capacity, the play station Vita presents new-fresh world of gaming extravanza never offered before. The Vita console with an array of new addition in processor as well as other peripherals brings a player across the unmatched gaming experience and excitement. The device launched in Japan last Christmas according to some latest news and estimations have sold about half a million units in the market. A rival to Nintendo 3DS it has a quad-core processor and 5in (12.7cm) OLED touch screen. 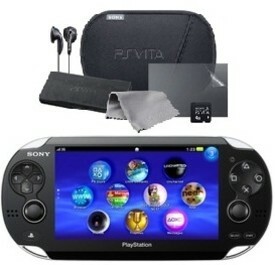 Though it is entering into competitive market as mobile casual gamer spaces dominated by applications for smart phones. It is released with wi-fi connectivity and with 3G mobile network. The Vita has offered three different games available at launch. Some of these games are fully priced and rests are under the rate of below 10 pounds. However, the device has retained some positive rating from gaming review sites. It may have to suffer stiff competition from growing smartphone gaming market. According to some positive responses from the Sony, it is targeting 18 to 25 years who are the first gamers.